Traditionally, GC injections have been limited to 1µL. Larger injections create chromatographic issues by overloading the inlet and the column. The TITAN XL was designed to overcome these limitations by introducing Large Volume Injection (LVI) to a standard GC or GC-MS system. The TITAN XL's use of PTV allows it to make LVI injections up to 1000µL while maintaining the ability to inject traditional 1µL split/splitless volumes used with a standard GC inlet. Universal GC inlet that provides split/splitles s and large volume injection in a single inlet. In Large Volume Injections (LVI) the inlet temperatur e starts at ambient or sub-ambient temperatures depending on the boiling point of the solvent. The ability to cool the inlet down to these reduced temperatures is often done using LN2 or LCO2. Cryogenic gases are expensive, consume large amounts of floor space and require the laboratory to add additional safety measures. 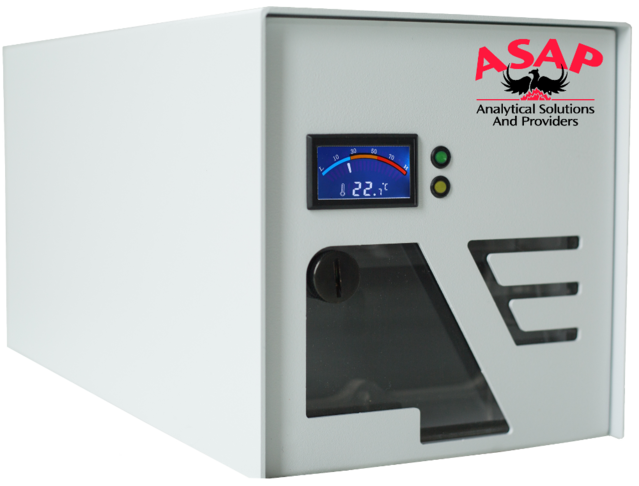 In contrast, the Peltier Control Unit (PCU) from ASAP Analytical is low cost, has a small footprint and requires no other safety measures. 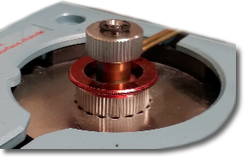 The PCU can be programmed to begin cooling after an injection has been made to decrease the cycle time between sample runs. This critical feature helps labs to increase productivity and lower cost per sample. When installed in combination with the TITAN XL, labs can see immediate benefits in cost reduction, flexibility, and reductions in cycle time. The TITAN PCU is compatible with other GC inlets including the Agilent MMI and Gerstel CIS.